A missing-the-mark, feel-good book. This is, in a nutshell, this reader’s reaction to Cindy Myers’ The Mountain Between Us (New York: Kensington Publishing, 2014). The feel-good aspect of the book means that at the end, every young woman gets her man (the older women remain alone), every natural obstacle is removed, everyone’s life, (despite some previous upheaval) settles into a routine, victims get their revenge, and Christmas cheer is everywhere. The novel is about two women’s quest for a lasting relationship. Maggie Stephens is a divorced 40-year old, newly arrived in Eureka, Colorado, pregnant by a younger man from Eureka, Jameso, whom she has known for a few months. Her preoccupation stems from his carefree lifestyle: will he want to stay with her and be a good father? Olivia Theriot, also an arrival to Eureka, is a single mother of a 13 year old boy whose father, D. J., left her to make some money during the Iraq conflict; but he comes back to Eureka to attempt a reconciliation which she obstinately refuses to entertain. The tiny town’s inhabitants have a role to play: there is an experienced ex-miner (Bob Prescott), the town’s mayor (Lucille), the town’s old maid (Cassie). The mountain town itself, with its economic need for tourists, natural beauty and resources, paints an interesting setting. The town’s council was defrauded of all its money, some of which which they got back using not-so-legal means. This whole episode hangs on the willingness of the bank to cash all of the town’s investments, rather than just the sum the town agreed on with the new “investor”, really a swindler. The author attempts to give authentic voices to the characters when she narrates their innermost feelings. This is done in a conversational style, perhaps mirroring the linguistic usage of a small town. For es., “familiar in the way only someone with whom you’d shared the deepest intimacy” (p. 10). This is perhaps also the reason for using trite and tired stock phrases, such as “life was full of surprises” (p. 144), “picture-postcard perfections” (p. 164), “the world around them was a frosted wedding cake” (p. 165), “People fall in love and they just know they can get through anything together” (p. 189), etc. It is quite sad, then, that the world of these small-town characters is circumscribed by such rudimentary vocabulary. There is an underlying tension between independence and rules (similar to the one in Glass Castle – see the review below). “Craziness” is admired; Bob’s words underline this: “If crazy is not wanting to play by the rest of the world’s rules, then maybe you’re right.” (p. 175); or Olivia’s claim that people bragged about living on their own terms (p. 239). It could be that echoes of the idea of rugged individualism must appear in all American writing. The title does not really reflect the content: who is really the “us”? Is it the inhabitants of Eureka? And who then is “them” – between “us” and “them”? Is the “mountain between” a good thing, i.e. some distance to ponder the events? Or is it something insurmountable? However, the novel fails to take advantage of the signposts that are already in the narration and could have become much more than asides, such as the consequences for soldiers and para-military personnel as well as their loved ones of their involvement in war (in this case, in Iraq); the question of a Christmas tradition without religious bases; not-so-ethical business practices; the unattainable goals of women, especially if they involve the arts; trite romantic dreams of middle class women; definition of community. These signposts revolve around social consciousness, i.e. the idea that the actions in the novel are embedded in a wider political, social, economic contexts all of which bring problems to individuals. The lack of knowledge about social consciousness among many authors today stems from their lack of reading: many authors jump into writing as if it were something like walking, which seems innate. Writing, on the other hand, is not innate, but many work with ignorance of models (even to destroy), and without any need for awareness of linguistic creativity. Attentiveness to the world beyond one’s navel is based on familiarity with a wealth of other writing which requires time and effort and study. Long gone are the times when authors were conscious of the fact that if they wanted to reach future readers, they had to write using excellent language and superior content. Nowadays, publishing at all costs and immediately is the goal, so the results clearly miss the mark. According to Pankaj Mishra, to be a writer is “to concern oneself particularly with the fate of the individual in society” (p. 149 in An End to Suffering, Picador, 2004). But to do this, one has to study, read widely and incessantly, think deeply and edit constantly: all of these activities are time-consuming, lengthy, profound, ill-suited to the modern hasty superficial obsession with a two-minute fame. Reading fiction: brain or heart work? It is said that Schopenhauer is the originator of the following dictum: “Reading is thinking with somebody else’s brain.” Assuming he was referring to reading fiction, he was only partly right. There is a movement afoot nowadays to make reading fiction palatable to school officials, syllabus makers, etc. by insisting that reading fiction makes people more empathic (see http://www.theguardian.com/books/booksblog/2013/oct/08/literary-fiction-improves-empathy-study). This, also, gives only a partial picture of what reading does for the careful reader. So there are at least two positions regarding reading fiction: that of the brain (thinking) and that of the heart (feeling). Long lists belonging to either camp can be collected. However, the suggestion here is that both are true at the same time: books make us think and make us feel. Furthermore, the greatest books make us do both, and more: they make us also cry and laugh, being in an imagined environment of the special world created in a different language. Silvana Grasso’s L’albero di Giuda (Einaudi, 1997) is one such book. It makes the reader think: the story of Sasa` Azzarello’s life, set between the 1920s and sometime before the 2000s in Sicily, overturns the usual stereotype of the daughter doing what the father wants: it is the son who has to live up to the father’s expectations. Studying philosophy completes one of the requirements: the son is brainy. The other requirement, that of being sexually endowed and doing what that expectation commands (il capitale), is, however, another matter. The son’s unhappy love affair with a Friulian young woman whom he met while he was studying in Padova, makes contemplating suicide a real option. Thus, much of the protagonist’s time is spent in attempting to find the right way of ending his life, the right time, the right location. But he also participates in the life of the town: he meets his friends, he cares for his wheelchair-bound cousin. Sasa` shows himself to be a master in reworking the Pirandellian motto “Così e` se vi pare” (It is so if it seems to you so), combining thinking about a matter or an event (happy or sad) and laughing at and with it. The novel makes the reader feel: among other psychological vicissitudes, the desire for self-annihilation, lasting for more than 50 years, torments Sasa`: but this torment is accompanied by the need to be loved, a need which is never satisfied. The book makes the reader cry: the description of the protagonist’s solitude and his scheming to commit suicide are heartbreaking, as is his decision to obey his father and marry Maddalenina, a type of Xantippe who does not understand him. The novel makes the reader laugh: on many an occasion, the carefully premeditated suicide mission fails on account of really petty events. Describing the wife’s irruptions into the protagonist’s humdrum activities as Caporetto is one of the many funny nuggets that require outright laud laughter. If you have a book which does all four (make you think, feel, cry and laugh), like Silvana Grasso’s L’albero di Giuda, please share it with us in the comment section below. Francesco Verso’s SF novel Livido has recently been translated into English with the new title Nexhuman (Xoum 2015). What follows is a slightly reworked short Afterword* to the English version (with permission from Francesco Verso). What follows is not intended to be a conclusive statement about this remarkable novel, but to serve as a springboard for discussion about the ever-elusive definition of what it means to be human, this time from transhumanist and literary perspectives. Transhumanism is an international philosophical and cultural movement whose main tenet is the belief in the positive outcomes of enhancing and augmenting all human faculties. The improvements go beyond simply alleviating pain or bettering one’s eyesight. They involve using prostheses, implants, nanotechnology, exoskeletons, DNA editing, and much more to augment human abilities beyond their natural limitations (for example, adding gills, making night vision possible, etc.). Transhumanism values reason, progress and optimism through self-determined, self-directed evolution. According to this movement, death is not inevitable and senescence can be rendered negligible. If science fiction can be defined as works of literature that are contingent upon some as yet unfulfilled scientific advancement, transhumanist science fiction refers to those works of literature that deal with self-directed evolution, not with cyborgs created by others, but with subjects whose enhancement is directly willed by themselves. Francesco Verso’s Nexhuman can be considered a transhumanist trailblazer in the more and more verdant forest of Italian science fiction. Although the novel does not focus specifically on self-directed evolution, the narration proceeds towards one of the crucial aspects of transhumanism – that of mind uploading. Nexhuman paints a dystopian picture of the future, where the complexities of a consumerist, profit-driven, technology-obsessed, trash-filled world, populated by humans and nexhumans, seemingly obliterate those aspects of humanity which matter most: love, identity, family, friendship and aspirations, to name just a few. However, these themes and many others find a common thread in the question of the Self: not just the basic ‘Who am I?’ but other probing queries, such as ‘Who is the Other?’, ‘How do I exist with the Other?’, ‘Where do I fit in?’, or ‘What should I do with my life?’. And, above all, ‘Who will the Self be in a world where the external body can be of any shape and material?’. Nexhuman offers a most noteworthy possibility regarding the relationship between the Self and the Other. For millennia, humans have acknowledged the fact that there exists a chasm between the Self and the Other: a binary, exclusionary relationship that separates the two fragments into clearly delineated compartments. It is true that anthropological triangulation, or double-consciousness, offers a tripartite view, but it still relies on the same components: self, other and other-self. The novel describes, in stark and nasty detail, the results of this antagonistic stance: quasi-fratricide, possible matricide, ‘nexhuman-cide’, exclusion (seen in the character of Ion) and separation (human vs. nexhuman; male vs. female). Peter Payne attempts to avoid falling into the trap of hate even when he is bent on vendetta. He falls in love with a being he does not know is a nexhuman, and he keeps loving her even after finding out that she is a copy of a sixty-year-old woman’s mind that has been uploaded. His search for Alba’s severed pieces symbolises his quest to find himself – but not at the cost of excluding others. And here is the point at which transhumanism’s mind-uploading technology shows yet another possibility, clearly illustrated in the novel: to live as Self within the Other(s). The Self can be uploaded into any form (human or not), of any age, and this can be done many times over – just as Alba’s example shows. The Self can live within other people’s memories: Peter Payne uploads his own memories into the program of his mother’s hologram, where she will live on. However, the most inclusive sense of the Self within the Other is Peter’s feeling that Alba lives within him. Of course, these serious aspects of the ‘payneful’ experience receive good doses of irony (specifically: love growing out of a trash-filled environment; trash-forming and recycling of garbage, but also of mind; Peter’s approval to upload his mind not because of his mutilated, bruised body, but on account of love; etc.). Therefore, the Self and the Other(s) are categories that are not exclusive, but are subsumed within each other: the new consciousness of both Peter and Alba are not simply imagined but embodied, not dreamt but uploaded. There is no antagonism between the Self and the Other(s), nor are there blurred, indistinct outlines. They are enclosed, experienced, practiced, familiar and deeply felt. They are not fluid but embraced, and readily received. Frederick Pohl, the American science fiction writer, claimed that, ‘A good science fiction story should be able to predict not the automobile but the traffic jam.’ Nexhuman’s traffic jams include the usual problems encountered not only in science fiction – extreme environmental degradation, unscrupulous employers, failure to stop aggressive and violent behaviour – but also those created by new transhumanist technologies, such as self-constructed bodies, mind uploading, misuse of mind-transforming technologies, inability to educate the young, and wide gaps between humans and nexhumans. The novel does much more than this since it redefines the relationships between the Self and the Other(s), offering a new way of being human: that of embracing one Self within the Other(s). *Some of the ideas elaborated on here were first presented at the Graduate Students’ Conference entitled ‘(Un)human relations/ Relazioni (dis)umane’, held at the University of Toronto, Toronto, Canada, 6 May 2015. Francesca Vesco, Cedimenti. Milano: Edizioni Ambiente, 2011. What happens, when in a nation which allows illegal house/hotel construction to occur, you find an unauthorized building in your own back-yard obstructing your view of the Mediterranean? This is the situation facing the protagonist of the novel under review, Martina, who has inherited a piece of property in Sicily from her grandfather, the marquis Ignazio Scaduto. Surely, her first reaction must be to sell the property – but selling it would mean giving it away cheaply to the mafioso who controls the construction business. The second option is to fight the illegal construction lawfully: but the lawyer she consults gently suggests to her not to follow this line of action, especially since her grandfather has attempted to have the building demolished using legal means – clearly unsuccessfully. 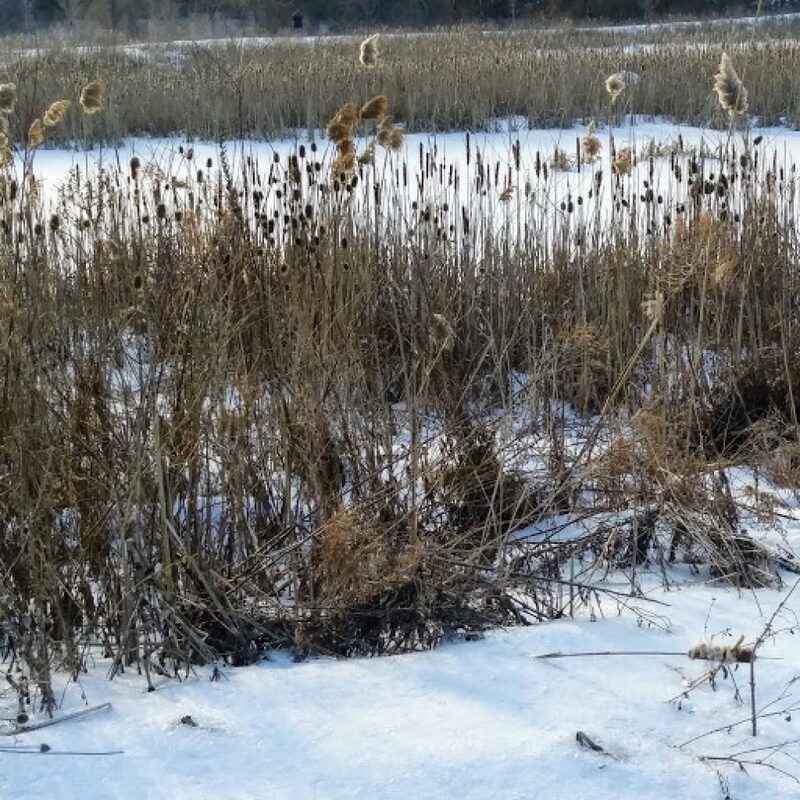 The third way out could be to use illegal means to get rid of the illicit eyesore built on protected land: put an explosive device around the structure and blow it up: this is in fact what her new-found friend, the local journalist and eco-fighter Giuliano Chimenti, spurs her on to consider. (If a reader anticipates some type of ideological/political/literary/emotional connection to Brigate Rosse, this connection is not forthcoming, although mentions of Greenpeace tactics are present.) The rest of the novel follows Martina as she wholeheartedly adopts the illegal tactic to get rid of the structure. The strategy she chooses rests on her obtaining cement-eating microbes (a not so scifi turn, and the novel ends in 2023), placing them in strategic locations and puff! The structure collapses, hence, cedimento (i.e. “caving in”). This illegal action results in the protagonist’s not very long internal fight whether to confess to the authorities who do not even come close to solving the collapses of three structures. She and her beau confess, spend time in prison, and start a new life together. 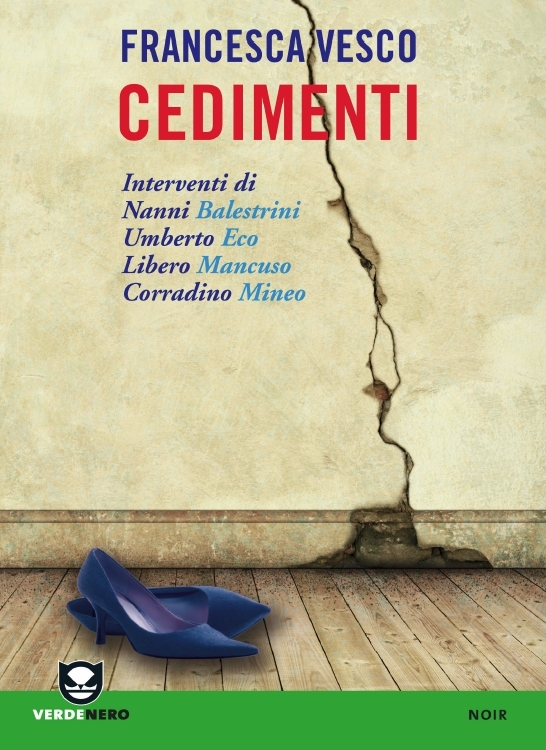 But in Italian, cedimento has other meanings as well, such as : “giving in”, “yielding”, “surrendering”, “submitting”, “sinking” – and the novel’s title is in the plural, suggesting other collapses as well. The other givings–in the characters experience reflect purely human surrenderings; to passions: love for one, physical attraction, spur-of-the moment decision-making, guilt, sense of duty, sense of right and wrong. Yet another submitting is of the chance type: giving in because of being at the right place, with the right people and things at the right time. The descriptions of these tribulations receive an unusually participating treatment, one could almost say by virtue of a “feminine sensibility”. Sadness pervades the language of the novel, notwithstanding its happy ending including marriage, children, and beautiful unobstructed vistas. The melancholy may reflect the gloomy fact that laws do not actually trump unreasonable political choices, or illegal behaviours, or violent solutions. The novel has been published by a publishing house specializing in eco-fiction, but it can also be subsumed under the heading “science fiction”. Moreover, Cedimenti also has the feel of literary docu-fiction or creative non-fiction. It cites legal rules and regulations, it describes the waste and destruction of natural beauty at the hands of unscrupulous builders and offers one solution to seemingly impossible legal solutions to do away with illicit building. Some perplexities remain after the last page of the book has been turned. It is not clear, within the content of the novel, what happens to the mafiosi and the collusive politicians, i.e. the real culprits of the ecological ruin. If the book is intimating that they keep on acting as usual, then the example the protagonist goes through is for naught, or to be imitated anytime an illegal structure is around. The other unanswered question regards the cement-eating microbes: they have been given food, and therefore it would be logical to assume that their colonies will grow and attack other cement structures, making a total collapse of all the buildings, not only of the illegally-constructed ones (of course, the environmental, climatic and biological conditions must be right for this to happen). The third point has to do with the third-last section of the book, which is entitled “Suggestioni e commenti”. First of all, suggestion in Italian means “influence”, “fascination” – but clearly it is used here as an Anglicism meaning “suggestions” – nevertheless, the few pages written by the likes of Nanni Balestrini and Umberto Eco, as well as Libero Mancuso, do not proffer any suggestions and the comments are not really necessary because they do not add or otherwise explain the content of the novel – the book stands very well on its own. All in all, this novel offers good reading times, and makes the reader aware of the complex intertwining of human, ecological, legal problems which a nation such as Italy must confront at every moment.